Research findings on Oncology are discussed in a new report. 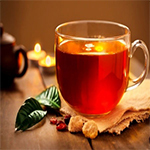 According to news reporting from Bristol, United Kingdom, by NewsRx journalists, research stated, "Growing evidence suggests that the flavonoid epigallocatechin-3-gallate (EGCG), notably abundant in green tea, has health-promoting properties. We examined the effect of EGCG on cell survival and apoptosis in the prostate cancer cell line PC3." The news correspondents obtained a quote from the research from the University of the West, "Cell survival was reduced and apoptosis increased significantly with a low dose of 1 M EGCG. The ability of the anticancer drug cisplatin to promote apoptosis was enhanced by EGCG." According to the news reporters, the research concluded: "Furthermore, EGCG, both alone and in combination with cisplatin, promoted the expression of the pro-apoptotic splice isoform of caspase 9." For more information on this research see: Epigallocatechin-3-gallate promotes apoptosis and expression of the caspase 9a splice variant in PC3 prostate cancer cells. International Journal of Oncology, 2013;43(1):194-200 (see also Oncology).